seriously, and aim to protect the privacy of all visitors to this website. This Privacy Statement describes the information we collect from this website and how it might be used. More information, including how we collect and use the information in these categories, is set out below. Personal Information is defined by the Act as information or an opinion that can identify or reasonably identify an individual. We may collect Personal Information you provide to us, such as through the use of an on-line form or an email you send to us that includes your details. We also collect additional information when you visit our website, such as the name of your internet service provider, your IP address, your internet browser, your computer’s operating system, the website from which you came to our site, the web pages that you view on our website and, if applicable, search terms you may have used to find our website (all, Use Data). However, we only collect such Use Data on an anonymous basis and never associate it with your Personal Information. Henkel stores Personal Information we collect about you safely and take reasonable precautionary measures to protect that Personal Information against loss, abuse, disclosure or modification. Contractual partners of Henkel who have access to Personal Information about you in order to provide services to you on our behalf are contractually obliged to keep such information in confidence and may not use the information for any other purpose. 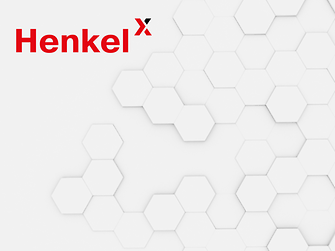 If it becomes necessary for us to transfer your inquiries to an affiliated company of Henkel, your Personal Information will continue to be treated as confidential. 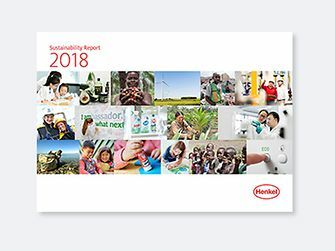 Henkel does not wish to collect Personal Information or other data on children below the age of 14 years. Where necessary, Henkel will direct the child not to send any Personal Information to Henkel. Should parents or other legal guardians discover that the children under their supervision have disclosed Personal Information to Henkel, we request that they contact us at the address below ‏(see 7. below). We shall then arrange for the deletion of these data without delay. To learn more about how cookies are used on this website, please find further information at Cookies Webpage. Subject to your consent, this website collects and stores data for marketing and optimisation purposes by using Webtrekk technology. This data is stored in anonymous or pseudonymous user profiles ‏(depending on the respective technology and service engaged). These user profiles are stored in cookies or other similar technologies ‏(as set out above). In addition to the data collected when accessing the website ‏(as set out above), we may collect information pertaining to the website you are using to visit us, the web pages that you visit while you are with us and, if applicable, any search terms you have been using to find our website. Without your explicit consent, the data collected utilising the Webtrekk technologies is not used to identify you personally and is not combined with any other Personal Information about you. If you object to the Webtrekk data storage in connection with this website, an opt-out cookie is set. This cookie is set for the named domain, per browser and computer. Therefore, if you visit our website from multiple devices or browsers ‏(for example, from your home and work computers), you need to object using the line above from each of these devices or browsers. b) Alternatively, you can object and prevent the storage of cookies with a corresponding setting in your browser software. Henkel destroys or de-identifies the Personal Information data it has collected about you when that data is no longer needed for its purpose. At any time, you may request that we delete or discontinue further use of the Personal Information we may have stored about you. You are also entitled to review any Personal Information we may have about you, and advise us of corrections to that information. Inquiries should be made by e-mail to our Privacy Compliance Officer, at infomail-au@henkel.com. Plug-ins of the social media networks facebook.com, Twitter and LinkedIn may be embedded in our web pages. The associated services are provided by the companies Facebook Inc., Twitter Inc. and LinkedIn Corporation respectively (providers). To increase the protection afforded to your data when you visit our web pages, these plug-ins are implemented as “2-click buttons”.” This form of integration ensures that, when accessing a page from within our website containing such plug-ins, you are not automatically connected to the providers’ servers. Only if you activate the plug-ins, thereby issuing a permission for data transmission, will the browser create a direct link to the providers’ servers. The content of the various plug-ins is then transmitted by the provider concerned directly to your browser and then displayed on your screen. The plug-in tells the provider which of our website pages you have accessed. If, while viewing our website, you are logged into your Facebook , Twitter or LinkedIn user account, the provider is able to collate your interest, i.e. the information you are accessing, with your user account. On making use of any of the plug-in functions ‏(e.g. clicking the “Like” button, leaving a comment), this information too will be transmitted by the browser directly to the provider for retention. To avoid allowing Facebook, Twitter or LinkedIn to link your visit of our website to your user account with these providers, you will need to log-off the respective user account prior to accessing our web pages.